BNP Paribas and market maker GTS first entered into a partnership for US Treasuries in November last year. BNP Paribas has extended its partnership with New York-based market maker GTS for US Treasuries to include US equities. First agreed in November last year, BNP Paribas teamed up with GTS in a bid to provide its clients with better liquidity, tighter spreads and improved pricing in US Treasuries. 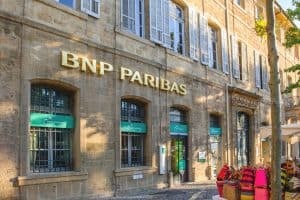 The initial partnership saw BNP Paribas implement GTS’ trading and technology tools, and added the market maker’s liquidity into its framework. Both firms also currently use a mutually-developed technology platform to provide the French bank with access to greater liquidity. Since the collaboration, BNP Paribas said that its secondary electronic market share with clients in US Treasuries has grown from 1.5% to 4%. BNP Paribas and GTS have now signed a memorandum of understanding to expand the deal into US equities, as the investment bank looks to grow its presence in the US market. Ari Rubenstein, co-founder and chief executive at GTS, described the extension of the partnership as a ‘game-changer’. “We are putting the most sophisticated artificial intelligence (AI) and machine learning to work with outstanding results. The overall outcome is tighter spreads, lower costs and overall price improvement when accessing the equities and fixed income markets,” he said.